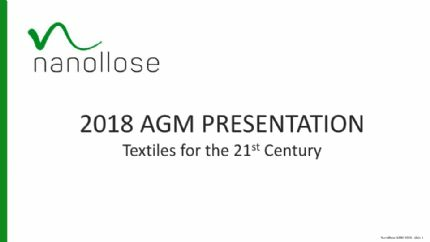 Perth, June 8, 2018 AEST (ABN Newswire) - Nanollose Limited ( ASX:NC6) ("Nanollose" or the "Company") is pleased to announce that, following the recent successful pilot scale production of its Plant-Free NullarborTM fibre, Mr Gary Cass will increase his involvement in the Company's research and development. From 11 June 2018 Mr Cass will commence a full-time executive role within Nanollose and transition from non-executive director to executive director of the Company. Mr Cass will bring extra capacity to broaden the Company's R&D portfolio. More specifically, in the short-term Mr Cass will focus on accelerating the development of the supply chain for microbial cellulose from a variety of waste materials which is essential for the commercialisation of the Company's technologies. Nanollose's Chairman, Dr Wayne Best, said; "Mr Cass is an expert in the production and uses of microbial cellulose. 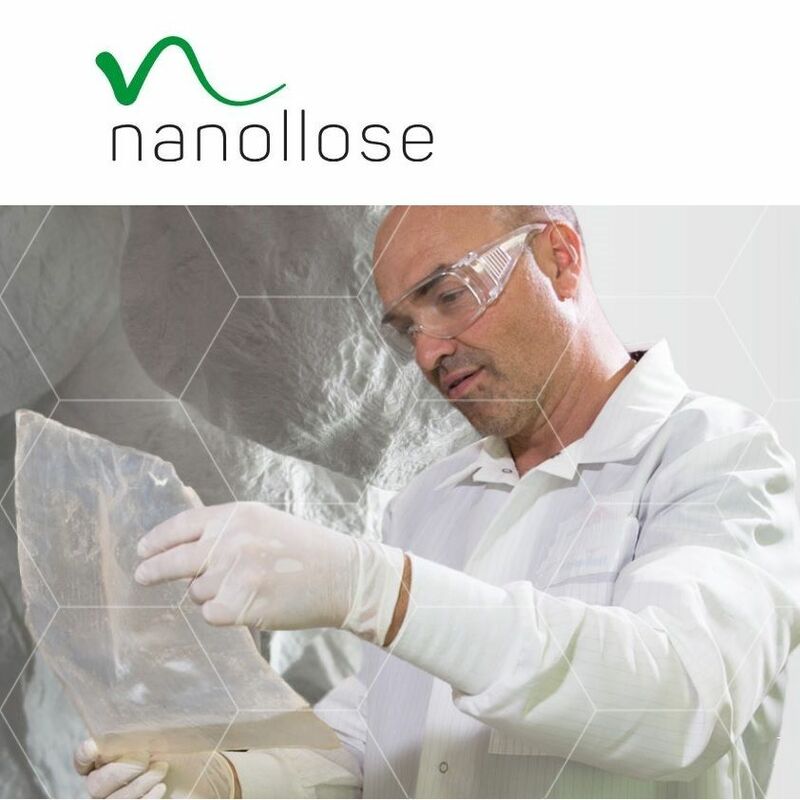 His full-time involvement in Nanollose will enable the Company to fast-track the development of its supply chain for microbial cellulose from a variety of sources, a critical next step in the commercialisation of the Company's technologies." The engagement of Mr Cass as full-time Executive Director of Research & Development is effective from 11 June 2018 and will continue until it is terminated by either the Company or Mr Cass. The Company may terminate the employment without notice upon limited events akin to misconduct or incapacity. Additionally, either party may terminate the agreement without cause upon 3 months written notice. Mr Cass will be paid $160,000 per annum plus statutory superannuation. Mr Cass will not be paid a separate director's fee for serving on the board. The remuneration of Mr Cass will be reviewed on an annual basis or as otherwise agreed between the parties. Otherwise, Mr Cass is engaged on terms considered standard for an executive of an ASX listed company including a post-employment restraint clause for 12 months. Mr Cass has a BSc in Agricultural Sciences specialising in microbiology and over 20 years' experience working with microbial cellulose. In addition to his expertise in microbiology he has a broad theoretical and practical knowledge across the biological sciences including environmental conversation and molecular biotechnology. Mr Cass has published in scientific journals and run international bio-science workshops in Australia and overseas. He has been a key collaborator with numerous international arts and sciences projects, including Fermented Fashion, the first dresses in the world made from wine and beer that have been exhibited around the world including the Venice Biennale (fringe), Trinity College Science Gallery, Ireland and the Signature Art Prize in Singapore.